Two steps higher the goal, Iran’s Ahmed Ahmadian and Thailand’s Yanapong Panagitgun are the respective top two names on duty at the forthcoming 2017 Portugal Junior and Cadet Open; play commences in Guimarães on Wednesday 22nd November and concludes on Saturday 25th November. The best for each on this year’s ITTF World Junior Circuit is a semi-final finish; Ahmed Ahmadian reached the penultimate round in Croatia, Yanapong Panagitgun in India. 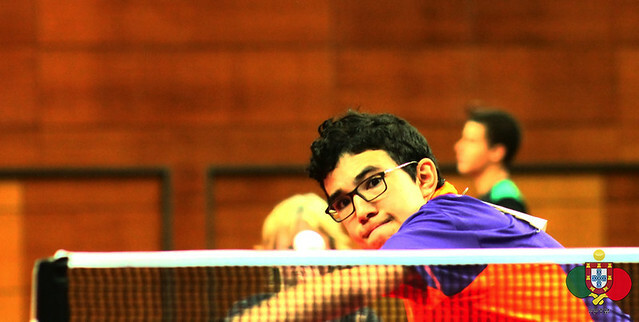 Making his fourth appearance of the year on the ITTF World Junior Circuit, at the recent Seamaster 2017 ITTF World Tour Swedish Open, Ahmed Ahmadian impressed with his powerful top spin play. In the qualification tournament he gave the host nation’s Hampus Nordberg a severe test, he led by three games to one before experience told. However, having only played on the ITTF World Junior Circuit in Europe and listed at no.53 (920 points) on the Standings, Ahmed Ahmadian is not a candidate for one of the 16 places available at the ITTF World Junior Circuit Finals to be staged next year in early February in Luxembourg. Conversely, Yanapong Panagitgun, playing in his ninth ITTF World Junior Circuit tournament of the year, is a candidate but in realistic terms he needs a semi-final place or better to gain an invitation to the Grand Duchy. Presently, he is listed at no.14 (1,742 points). Similar to Yanapong Panagitgun, the players named higher on the Standings have all met the mandatory two continent appearance requirement. Furthermore of those names no national association is represented by more than two players. Additionally each continent is eligible for a minimum one place in the Finals, as in the host nation. There are no players from Africa, Oceania or Luxembourg named higher than Yanapong Panagitgun; thus prior to the commencement of play in Guimarães, he is one place below the line. Similarly, the door is not totally shut for the host nation’s leading names to gain a place in Luxembourg but the odds are stacked against Vitor Amorin and José Pedro Francisco. Prior to play commencing in Guimarães, Vitor Amorin is named at no.36 (1,218 points) on the Standings; José Pedro Francisco at no.41 (1,122 points); however, in order to qualify they will need Yanapong Panagitun to fall early in the tournament and to progress to win the event. Notably for Vitor Amorin, it will be his 13th appearance on this year’s ITTF World Junior Circuit; for José Pedro Francisco his 11th excursion. In Guimarães, José Pedro Francisco is the no.5 seed behind Iran’s Amirreza Abbasi and Romania’s Cristian Chirita; Vitor Amorin is the no.6 seed. Tiago Li and Samuel da Silva, both Portugal complete the top eight names.